The Royal High School which stands on Regent Road is to be turned into a luxury hotel. In 1859 HRH the Prince of Wales spent three months at the school studying French, German, Italian and geography. He also studied Roman history with the school's rector Dr Schmitz. 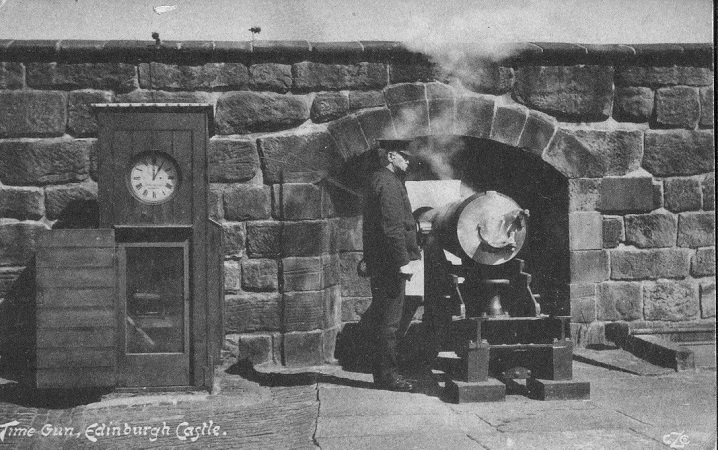 It’s more than likely that the prince visited the Royal Observatory on the Calton HIll which received a royal charter from King George in 1822. 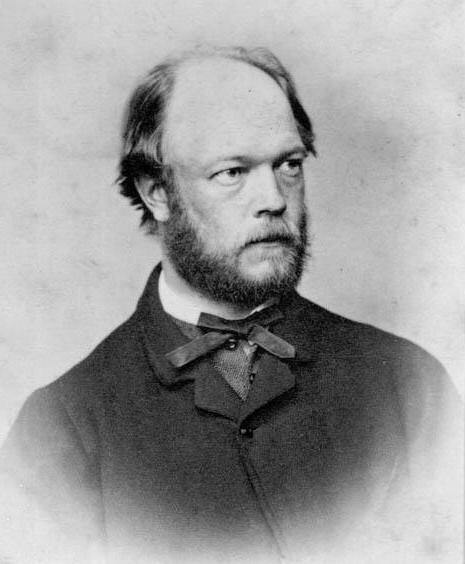 Peter Guthrie Tait joined the Board of Visitors of the Royal Observatory in 1862, the year following the setting up of the One o’clock Gun. Born in Dalkeith in 1831, he was educated at Edinburgh Academy and Edinburgh University before studying at Cambridge. Good humoured and easy to get along with, he was the ideal man to advise and assist Piazzi Smyth with his plans to modernize the observatory and purchase new equipment. He was also a very good golfer. The Collective Gallery opened the City Observatory's doors to the public today. 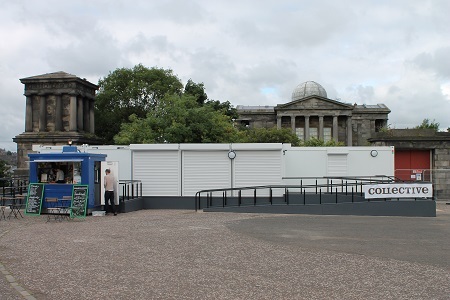 Dr Bruce Vickery was on hand to explain the history of the observatory and the work carried out by Professor Piazzi Smyth the Astronomer Royal for Scotland and his predecessor Thomas Henderson. Although the weather was wet and windy a fair number of visitors took the opportunity to look around the grounds. Visitors were fascinated to learn that an instrument for measuring earthquakes invented by Horace a son of Charles Darwin had been set up in the compound.